Antique Car Lovers, Eat Your Hearts Out! An entourage of antique Model A Fords parade down 50th street in Rockefeller Center. A really big bright tree wasn't the only attraction in Rockefeller Plaza Sunday morning. 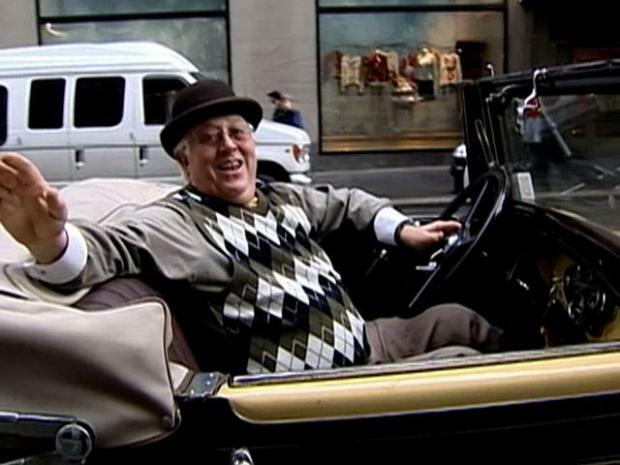 The Model A Ford Club of Long Island came to Rock Center with 40 cars – all about 80 years old. The club was in the plaza through mid-morning, lining their antique mobiles on West 50th Street from 6th to 5th avenues. If you missed the morning show, you can catch up with the group later. After its stint in the plaza, the club heads to the Intrepid, followed by the World Trade Center site downtown. I call shotgun in the yellow convertible! The club is composed of more than 285 memberships devoted to the restoration, preservation and enjoyment of the Model A Ford. Established in 1959, it is one of the oldest and largest Model A Clubs in the United States. Model A's were manufactured for only four years - 1928 to 1931 - and yet they still maintain a position as "Henry's Lady" and hold a special place in the hearts of club members.